CSP Zeebrugge Terminal offers and extended gate in Antwerp. Your vessel calls Zeebrugge instead of Antwerp, after which you opt for a Zeebrugge or an Antwerp bill of lading. This is a virtual gate in Antwerp whereby you can deliver and collect your containers. Once your container goes through this gate, it is in fact already with CSP Zeebrugge Terminal. We take care of the transportation of your containers to and from Zeebrugge with a dedicated barge or train. Doing this, you enjoy lower port dues, less pilot costs and low handling costs at CSP Zeebrugge Terminal. CSP Zeebrugge enjoys the ability to combine cargo flows to all major European centers of consumption providing excellent multi-modal connections. 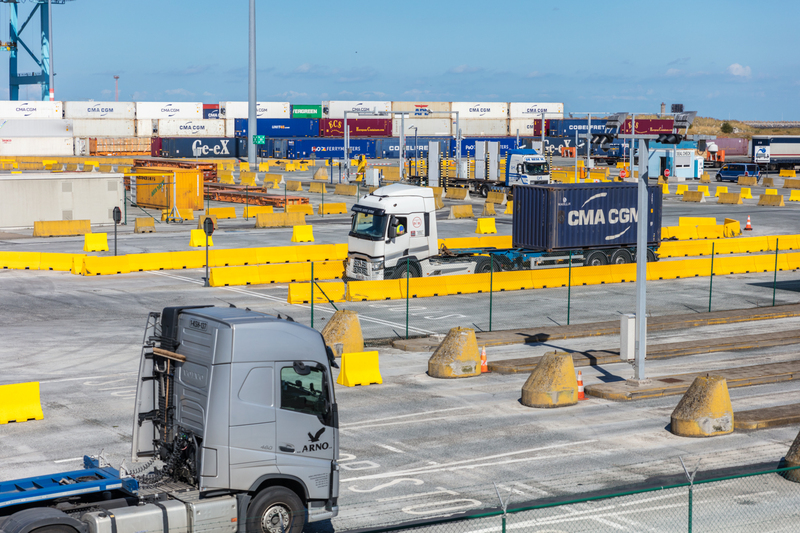 The Port of Zeebrugge offers a direct and central access to the European road network. The new A11 motorway connects the port even faster to all major industrial centers in Flanders, France, the Netherlands and many other destinations in Europe. Our fully automated gate process guarantees visiting trucks a very effective turn time. Frequent unit trains run to and from railway hubs including Antwerp, Dourges and Duisburg, making for an easy connection with the European market. Our on-site rail facility benefits from 3 rail sidings of 780 meter and can handle any type of block train. The port of Zeebrugge is connected to the 1,500 km long Belgian waterway network as well as to the pan-European river and canal network, linked by regular barge shuttles and estuary connections.